Streator Community Credit Union. Where Members Become Our Family. Our members are more than customers – they are a part of an organization focused on them and helping them reach their financial goals. We are committed to providing our members with quality financial products and exceptional service. Whether saving for the future, financing a home, or obtaining a new auto loan — our members count on us to meet all of their financial needs. Unlike a bank or savings institution, credit unions are founded on democratic, cooperative principles. Members have equal rights to vote and participate in our credit union’s leadership. And as a member-owned organization, credit unions return their profits to their member-owners. Streator Community Credit Union maintains sound business principles and a safe, secure financial network where members can be assured that their personal information is protected and remains a high priority. 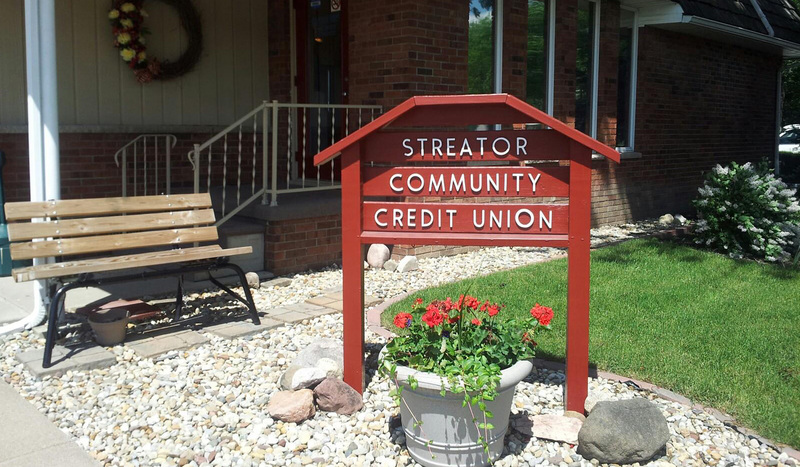 By incorporating the credit union difference into all of our programs and services, Streator Community Credit Union is able to offer the rates, service, and support that banks and other financial institutions simply cannot. Become a part of the Streator Community Credit Union today. Please note that on the last day of every month during the hours of 7:00 AM and midnight, the home banking sight will be doing its automated month end procedures, therefore the amounts reflected in your account will not be accurate until the procedure has completed. Our apologies for the inconvenience. Please remember in order to receive a direct deposit the payee must be an owner on the account. If the payee is not the owner, the direct deposit will be returned. When you sign up for home banking, you will automatically be enrolled in e-statements and e-notices. Call the credit union if you wish to un-enroll.